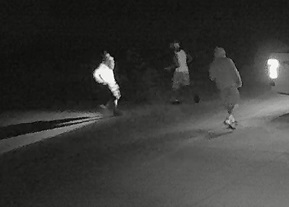 During the early morning hours on Tuesday, June 12, the Calcasieu Parish Sheriff's Office Vehicle Crimes Investigation Unit (VCIU) responded to numerous vehicle burglaries of unlocked vehicles in the area of Lebleu Settlement in Iowa. During the investigation detectives answered complaints at over 20 residences on Highway 3059, Mark LeBleu Road, North Ledoux Road, and Ira Breaux Road, all in Iowa. Detectives reviewed video surveillance from homeowners in the area which showed 3 men responsible for the burglaries. The Calcasieu Parish Sheriff's Office is asking for anyone with information regarding the burglaries or the identity of the suspects to contact the lead VCIU Detectives Finn Carlton or Hollan Dyer at 602-6836. 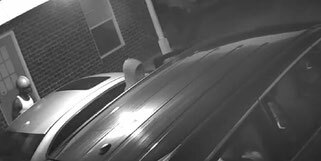 "We have been having a rash of vehicle burglaries of unlocked cars in different areas of Calcasieu Parish,” stated Sheriff Tony Mancuso. “We are investigating over 40 vehicle burglaries that have taken place over the last 7 days. I am urging you to remember to lock your vehicles. It is also just as important to make sure we don't leave any valuables in plain sight in your vehicle. You don't want to make yourself or your family an easy target. "